Vietnam: a name that will always be remembered by the American people. Many people know this name, but few know its significance. One of the most unpopular wars to date, that spanned over a decade, claimed over 58,000 American lives, and damaged many more. We flew into Southern Vietnam to fight Communism confident, not knowing nor even accepting the possibility we could lose. But what the American soldiers of the 1960’s and 1970’s found in those dense green jungles would forever change the world’s and their viewpoint of the war. The North Vietnamese and the Viet Cong fought a Guerrilla war against the American and South Vietnamese forces on a formless front. Trip wires, mines and Pangee traps abounded, and Snipers would loose fire on American troops and then disappear as quickly as they had appeared. As the war dragged on, it became less and less popular among the American public. When we finally withdrew in 1975, the war would forever be remembered as an unpopular, bloody conflict. 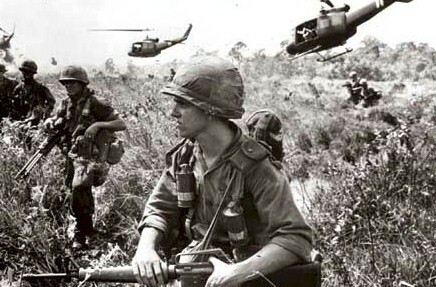 ● How did the Vietnam War impact the individual? ● How did the Vietnam War impact society? 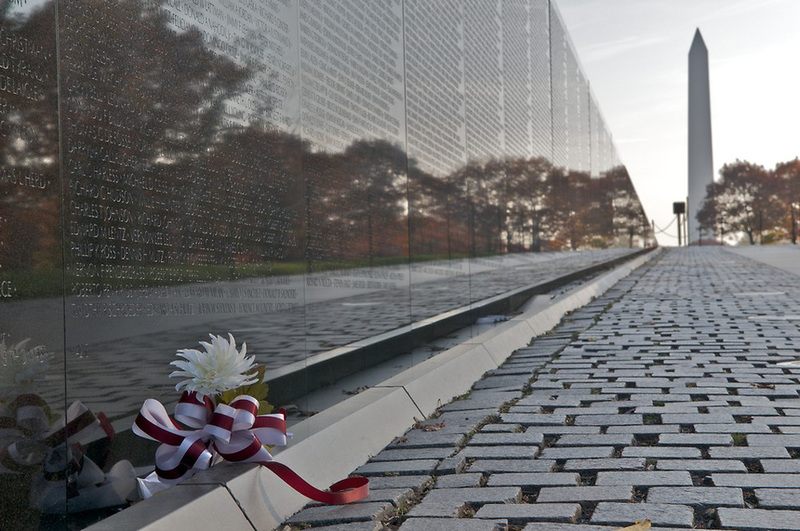 ● What was the cost of the Vietnam War? ● Can war, with all of its destruction, be beneficial? Please continue onto the rest of the website. We hope that within it, you will find a comprehensive history of the war, and gain a deeper understanding of this conflict.